On Sunday night, the 74th Annual Golden Globe Awards were held in Beverly Hills, honoring some of the best projects and people in film and television. Every year, viewers huddle in front of the T.V. to watch every thing from the red carpet arrivals to the opening monologue and if they make it through the night, the final award for Motion Picture of the Year. The entire night happens live which is fun for the viewer, but it can be a serious stress inducer for the production team and on-air hosts. Leading up to the show, television correspondents and their production staff research every nominee in every category so that the correct information is presented. One of the biggest flubs of the night at this year’s Golden Globes actually happened twice. 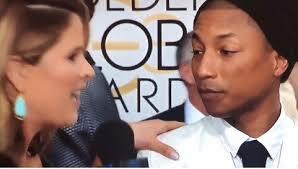 During the red carpet show, Jenna Bush Hager, special correspondent for The Today Show, interviewed Grammy-winning producer Pharrell Williams and one of the night’s nominees, who was the driving force behind the ‘Hidden Figures’ soundtrack. Somehow, Hager mixed up ‘Hidden Figures’ and another nominee ‘Fences’, which stars Denzel Washington and Viola Davis saying, “So you’re nominated for Hidden Fences,” followed by a classy side eye from Williams. Needless to say, this led to a firestorm on Twitter. For PR pros, one of the worst things you can do is present inaccurate information, or accidentally forget to update information that was hastily copy and pasted. This is a no-no, and can literally be the difference between your pitches being sent straight to the trash or being considered for a story. 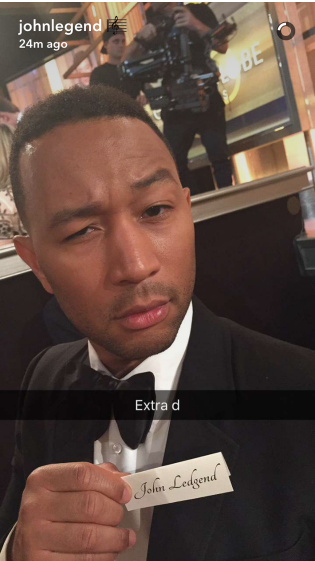 Grammy-winning musician John Legend posted a photo on Snapchat of his place card (insert photo), which read “John Ledgend” with the caption “Extra d” and a jokingly perplexed facial expression. Legend obviously decided to poke fun at the mistake but the moment definitely creates a teachable moment. Like any award show, the room is full of Very. Important. People and it’s crucial that there’s a final check of name spellings whether for tables or teleprompters. When pitching a story, you should want to present your best work. Oftentimes, something simple and concise is all it takes to get the initial job done. One of the most overlooked steps in the process is checking your work for spelling and other grammatical errors, including important names. It’s common for those in television to experience glitches especially during live events, and Sunday night was no exception. After being introduced, late-night host Jimmy Fallon had to improvise because of an issue with a teleprompter. Thanks to his time on Saturday Night Live, Fallon was able to joke his way through the monologue until the issue was resolved. As a PR pro, it’s important to be flexible in your visions for potential story ideas. After sending a pitch to a journalist, they may like the general idea of the story but with a slightly different angle. It’s important to be willing to work within an outlet’s parameters – and focus on their audience preferences, not just your own. Remember that journalists receive an avalanche of pitches every week, many of which don’t make it past step one of being considered due to simple mistakes. By making a note of the lessons mentioned above, you have a better chance of getting the pitch you worked hard to create, an actual once over.